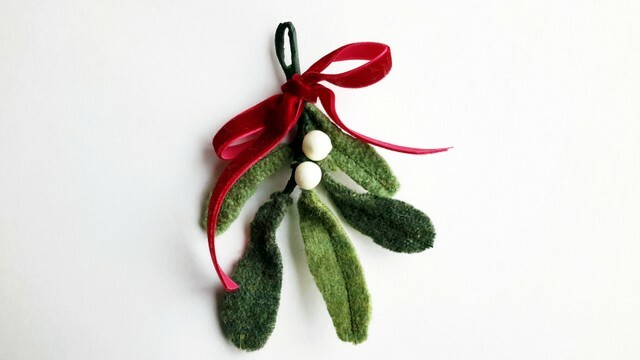 I love having greenery in my house in the winter and a cute little sprig of mistletoe with its contrasting white berries and a red ribbon hung above the door is a breath of fresh air to me, and a great way to get a few more of those heart felt kissaroos. 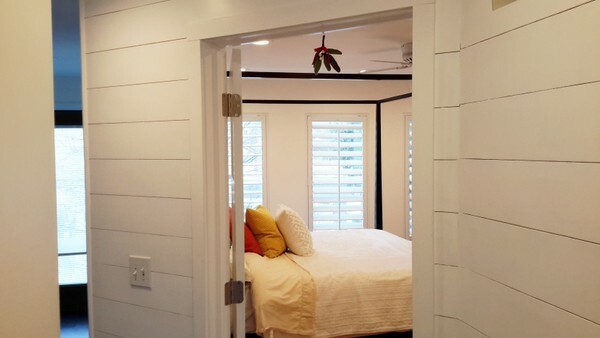 Who couldn’t use a little more loven in your home? 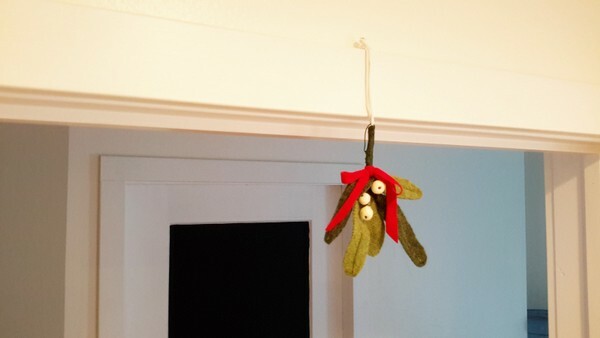 Mistletoe sprig hung above my bedroom door. 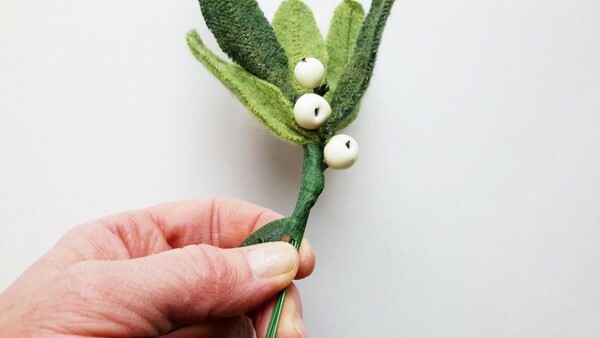 So how did this plant’s association with Christmas and kissing come to be? It is an interesting story, and I will let you read about it here if you are interested. 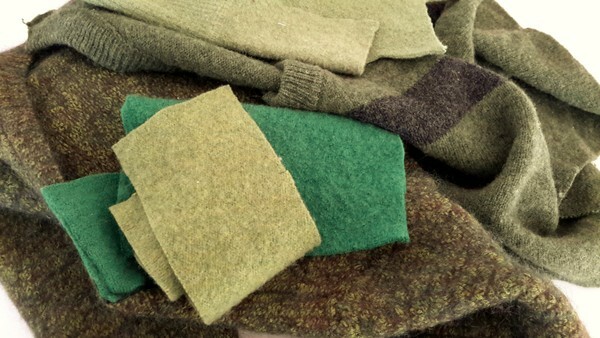 As you know, I have a thing for upcycled felted wool sweaters, and my favorite color of sweaters is GREEN. Whenever I go to the second hand store and find a sweater that is a good shade of green, I buy it and consider my day a success. Well, I have found another fun project to use my sweaters. 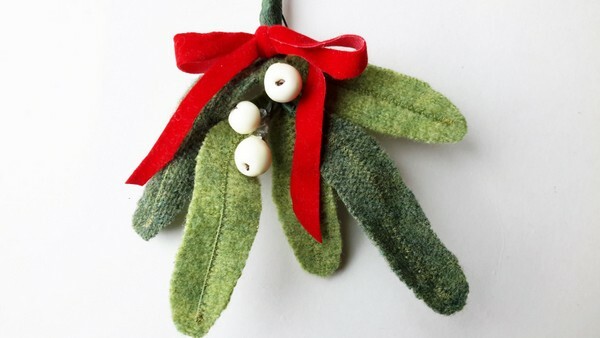 I am going to guide you through a quick and fun upcycled sweater mistletoe tutorial. 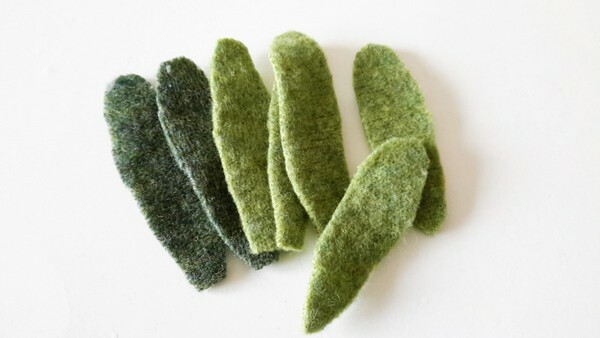 Green felted wool sweaters, or regular green felt can work too. 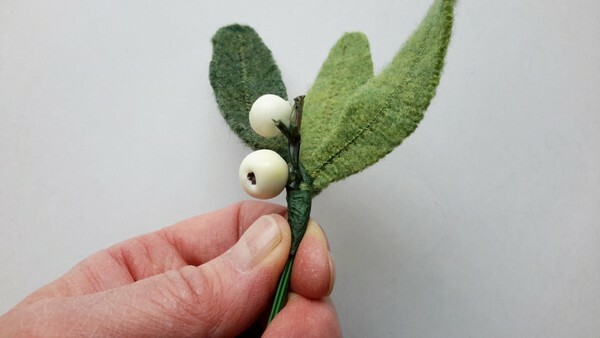 Fake white floral berries, or you could use white felted wool balls, or anything that is white that would look like a berry. 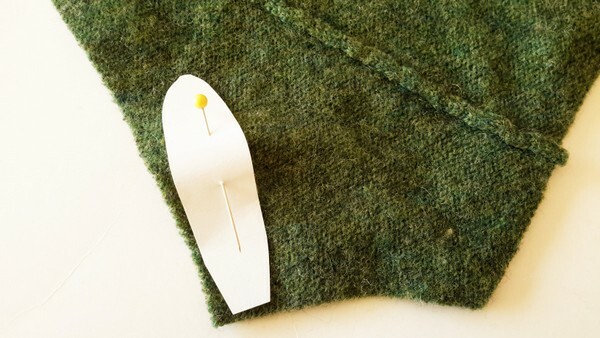 Get out your sweater scraps and find all the green pieces. 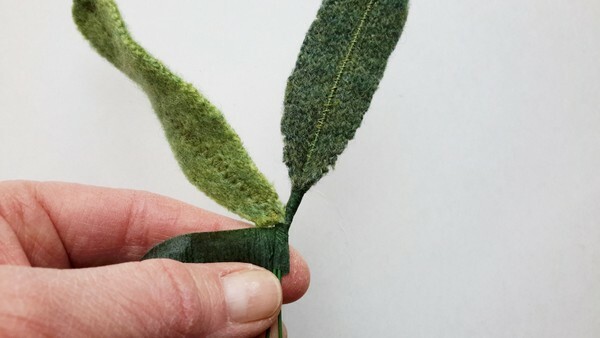 Cut out 5-7 leaves using different shades of green sweaters. 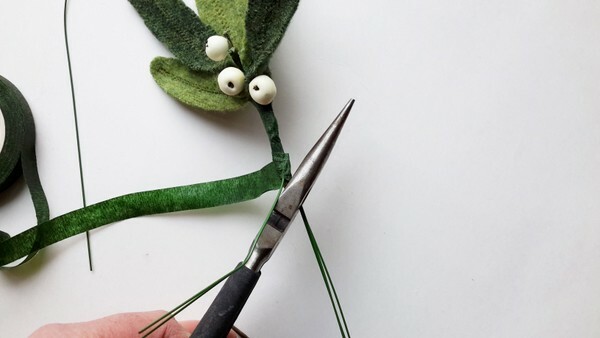 Cut out different lengths of leaves. 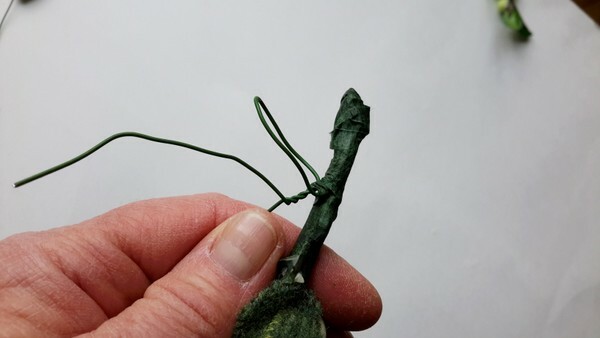 To apply floral wire to the leaf: set the wire in the middle of the leaf and straight down the center. 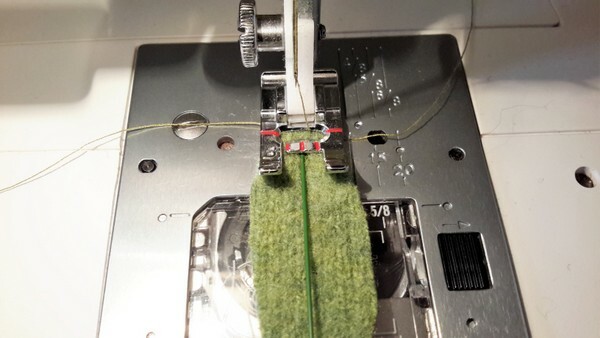 Using green thread, set you machine setting to a small zigzag stitch, and short length stitch. 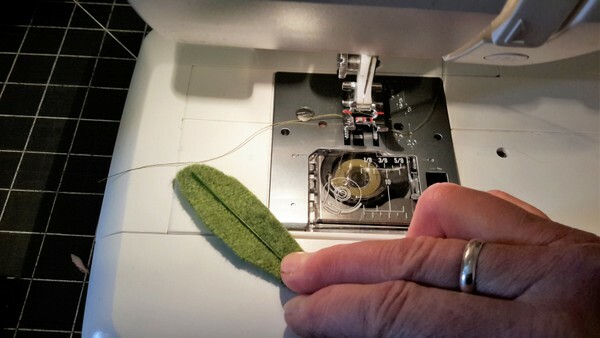 Sew from the tip of the wire down to the end of the leaf. 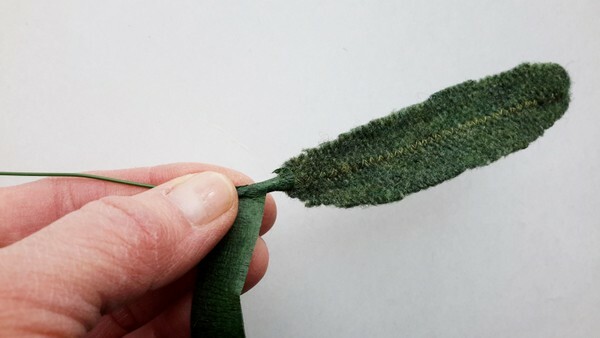 Using the floral tape, begin to wrap at the bottom of the leaf, catching a little of the fabric. Continue to wrap about 1/2 inch. Add another leaf and wrap around both wires. Add a spring of berries and wrap. Continue to add leaves and berries spacing the way you want them to be. 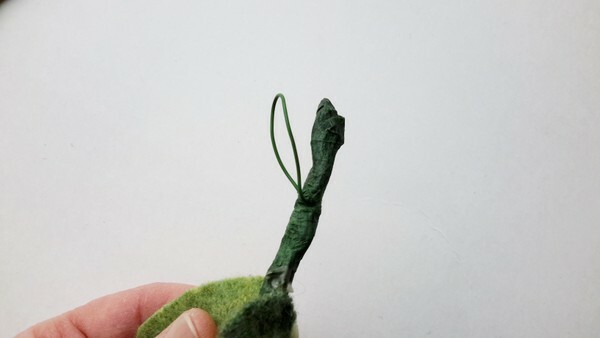 Then wrap down the stem a little further. Make a little loop with the two wires. 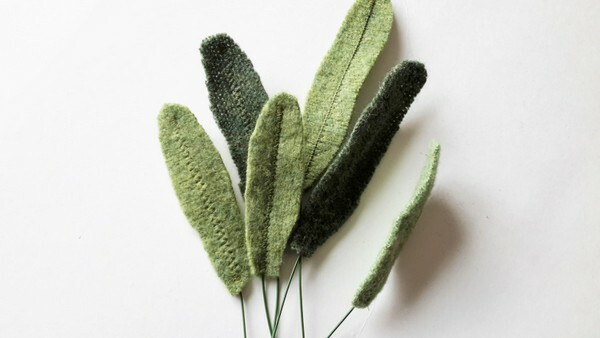 This is what you will use to hang your sprig. 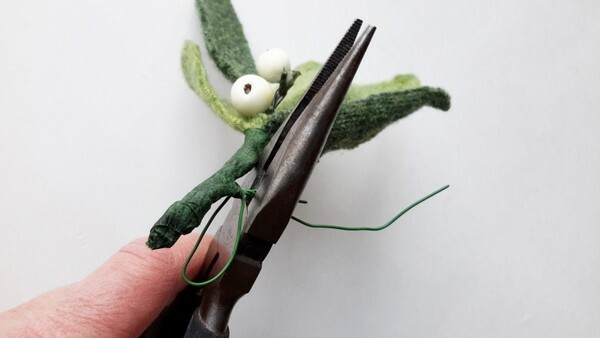 Twist the wire and cut off the excess. Wrap the ends well with the floral tape. There you have it. 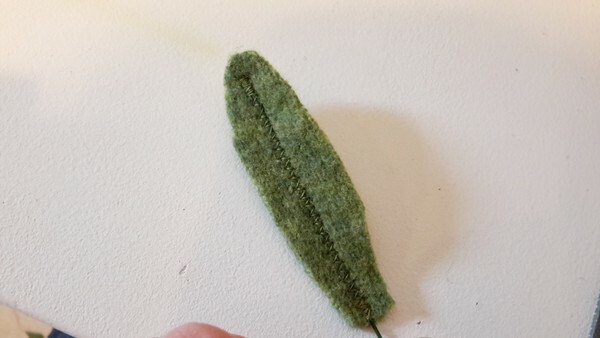 Bend and shape the leaves to your liking. Add a red ribbon and you are set. Look how cute it looks hung above the doorway. 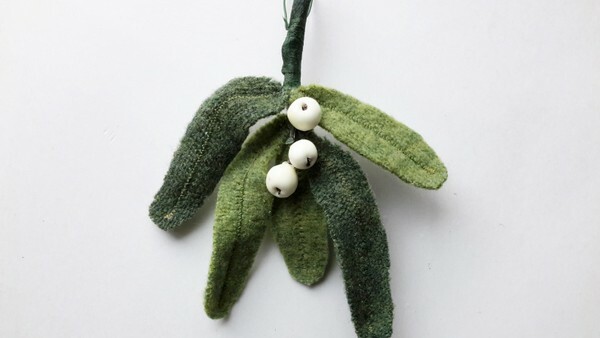 So, get out your green wool scraps and whip up a few sprigs for your home, or share some kissing attracting love with your friends and family. 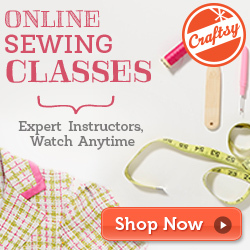 They do make a great gift and a gift wrapping embellishment. Have fun creating!